Have you ever been to an event and had a hard time hearing the speaker? Where the slightest rustle from the person next to you is distracting, making it more difficult to hear. Something as seemingly simple as the sound level at an event can make a world of difference. Whether it’s a conference, an expo, a wedding or even a birthday party, a good sound system is extremely important to ensuring a successful event. So if you’re planning your next business event, do not underestimate the value of using quality audio visual technology. Think about audio-visual aids in presentations, and how you can use technology to help convey your message or ideas a lot more effectively. It’s not just about sound levels, either. Your audience consume information better when they have visual prompts. Can you use a laptop projector to give them visual prompts? Maybe your audience needs to see images or video to help understand what you’re saying. As the presenter, audio-visual tools can also help you communicate better (because you have a point of reference that you’re all looking at). You don’t need to look down at your notes and risk losing the audience’s attention. Where will it be? Indoors or outdoors? What is the space like, in terms of access, power, and lighting? How large is the audience? Do you have a small group or hundreds of people coming? What are your presentation goals? Is it for sales and marketing? Network and relationship building? Do you need any specific visual aids during the presentation? What kind of tone are you envisioning? Your AV design can help achieve this. Do you need videos to play as people walk in or post-speakers? What about live audience participation? Go through these questions to gain clarity about your event’s AV requirements. 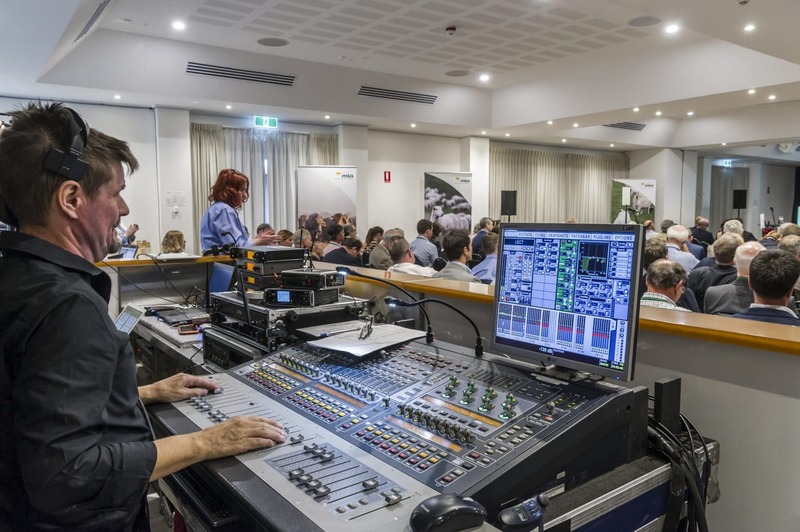 If there’s one thing that you need to ensure event success, it’s professional AV technology. While you can rent this equipment, it’s better to choose a venue that has it already (like us). Let our events team know what you need and we’ll confirm that we have it. Testing, testing… leave that part to us.